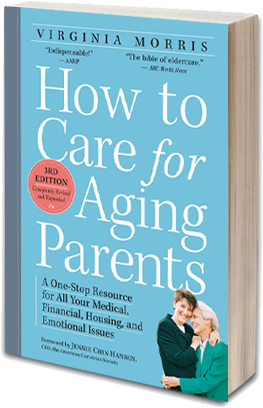 If you are already caring for an aging parent, or even if you are just starting out, here are a few quick tips for surviving the job. 1. ASSESS. If you are racing frantically, stop. Breathe. Think about what really must be done, what can be done only by you, and what can be done by someone else. Once you take an item off the list or hand it to someone else, let go of it. 2. ORGANIZE. Locate important documents (will, power of attorney, advance directives, tax returns, passport, etc.). Make a list of key contacts (doctors, lawyers, caregivers) and your parent’s medical information, and then store it in a place that you can access from your phone or other devices. 3. PLAN. Don’t wait for a crisis. Get critical documents (power of attorney, health care proxy) signed. Talk with your parent and family about your parent’s future care, housing, and finances. Research the options. Hold a family meeting. Be a step ahead. 4.TAKE CARE OF YOURSELF. Be sure to get away from it all from time to time—physically, mentally, and emotionally. Make an effort to eat well, exercise, see friends, and rest. Caring for yourself will mean better care for your parent. Really. 5. GET HELP. You do not have to—and should not try to—do it all. Get others involved, tap into community services, hire aides, and look into other housing options. Get help long before you think you’ll need it. 6. COMMUNICATE. Keep lines of communication open—with your parent, doctors, aides, and especially your siblings. Talk with them about who will do what and how you can support each other. Consider ways to compensate a sibling who is doing the bulk of the work. 7. SHOW RESPECT. Despite the toll of aging and illness, your parent is still an adult and still your parent. As difficult as it might be sometimes, treat her or him with respect. Hear her or his views. 8. DUMP THE GUILT. Out. Gone. Finito. Finished. Enough of that. You are doing a good job. 9. PREPARE FOR THE END. Everyone will be focused on keeping your parent alive, which is natural, but this single-minded quest often makes people miserable. Question it. What does your parent want most (time, mobility, comfort, lucidity)? Be sure his or her goals are at the center of all decisions. 10. BE SPONTANEOUS. Do something with your parent that’s fun and unexpected, something that has nothing to do with doctors, medications, or aides. In all your time of caregiving, this will be one of the moments you’ll remember most fondly.